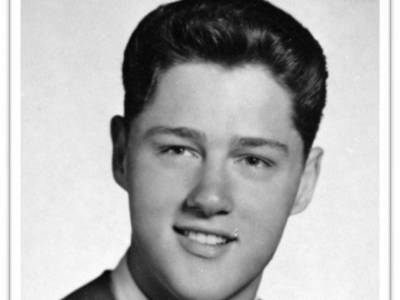 William Jefferson "Bill" Clinton is an American politician who served as the 42nd President of the United States from 1993 to 2001. 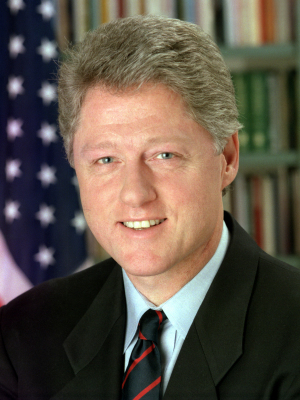 Bill Clinton (1946-), the 42nd U.S. president, served in office from 1993 to 2001. Prior to that, the Arkansas native and Democrat was governor of his home state. During Clinton’s time in the White House, America enjoyed an era of peace and prosperity, marked by low unemployment, declining crime rates and a budget surplus. Clinton appointed a number of women and minorities to top government posts, including Janet Reno, the first female U.S. attorney general, and Madeleine Albright, the first female U.S. secretary of state. 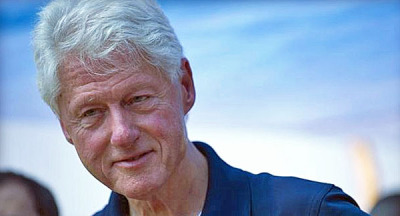 In 1998, the House of Representatives impeached Clinton on charges related to a sexual relationship he had with a White House intern. He was acquitted by the Senate. 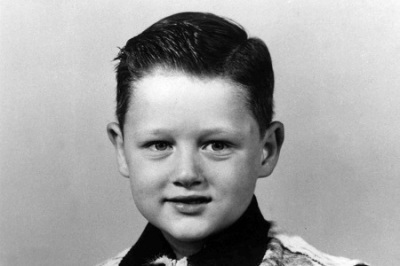 Following his presidency, Clinton remained active in public life. During Clinton’s second term, the U.S. economy was healthy, unemployment was low and the nation experienced a major technology boom and the rise of the Internet. In 1998, the United States achieved its first federal budget surplus in three decades (the final two years of Clinton’s presidency also resulted in budget surpluses). In 2000, the president signed legislation establishing permanent normal trade relations with China. Additionally, the Clinton administration helped broker a peace accord in Northern Ireland in 1998. That same year, America launched air attacks against Iraq ’s nuclear, chemical and biological weapons programs. In 1999, the United States led a NATO effort to end ethnic cleansing in Kosovo. After leaving the White House, Clinton remained active in public life, establishing the William J. Clinton Foundation to combat poverty, disease and other global issues. The William J. Clinton Presidential Center and Park in Little Rock, Arkansas, opened in 2004. That same year, Clinton released his autobiography, “My Life,” which became a best-seller. 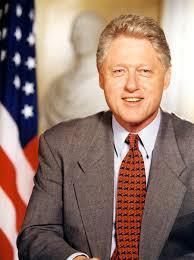 He also campaigned for his wife, who was elected to the U.S. Senate from New York in 2000. In 2008, Hillary Clinton ran for the Democratic presidential nomination but lost to Barack Obama (1961-), who named her secretary of state when he became president.